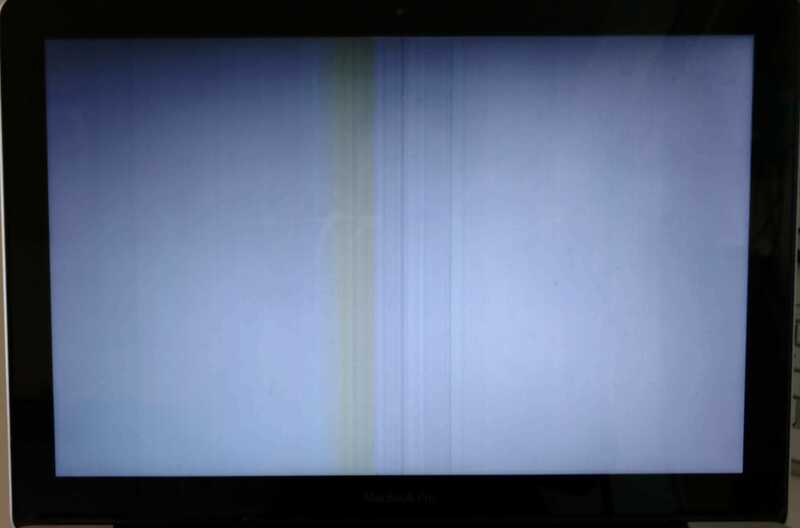 Sometimes, when an LCD is damaged, it can behave strangely. On this 13 inch MacBook Pro screen, horizontal and vertical lines appear and disappear, and the image on screen fades in and out as the display is moved back and forth on its hinge. A dark grey cloud appears to cover the screen from the left side, and the right side of the image is blown out white. Definitely not the way you expect a MacBook to work. You might expect that the problem is located in the hinge, but it’s much more likely to be a bad LCD, not the LVDS cable. With a new LCD panel installed under the glass, the laptop will work normally at any angle.